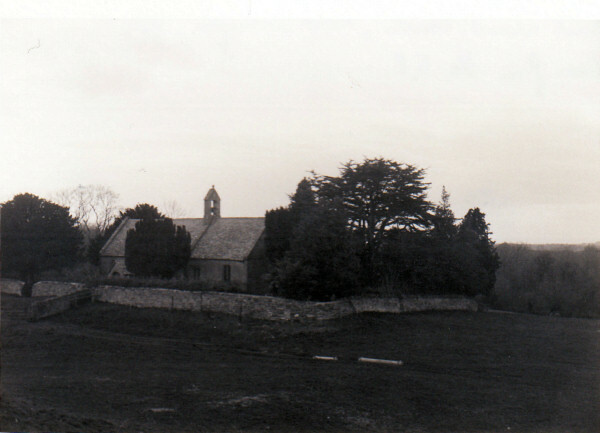 The origins of the church at Lower Lemington, dedicated to St. Leonard, are unclear. When stepping inside the church one gets the immediate impression of peace and coolness. As one explores further one’s eyes are drawn to the windows – only two of which seem to bear any architectural relationship to each other. The building is none the worse for this and its simplicity says much about the people who lived and worshipped here over the centuries. This parish was mentioned in the Domesday Book, ‘The Church of Theodechesberie’ held Limenstone in the reign of King William the Conqueror. In 1085 there was a population of fifteen. The Abbey of Tewkesbury retained the Manor of Lower Lemington until the Dissolution of the Monastries (sic) in 1539 and in 1567 it was leased to Ambrose Smith, the owner of Upper Lemington, in the parish of Todenham, a village which has now disappeared. In 1627 the owner was Henry Compton, and in 1651 Richard Compton so1d the manor to John Juxon, from whom it passed in 1655 to Dr.William Juxon, Archbishop of Canterbury” Dr. Juxon attended King Charles I at his execution and when he died in 1563 he left £200 for the poor of the parish. The manor was inherited by Dr. Juxon’s nephew, Sir William Juxon, who left it to his son, who died in 1739. It then passed to his widow, Susanna, who later married” Viscount Fane, and at her death in 1792, it was left to her husband’s great nephew, Sir Robert Heabeth. Michael Corgan bought the manor in 1791 and sold it to Lord Hedesdale (?) in 1811, and it has been part of the Batsford estate since that time. The church, dedicated to St. Leonard is Norman with a chancel thought to be Saxon, which was damaged during the Civil War. The chancel arch is 6ft” high and. only 4ft wide with a rough squint on either side. There are unusual crosses scratched on the arch, near the pulpit. The south doorway, with a Chevron-ornamented arch, and the plain north doorway are both Norman and the roof of the nave dates from the 14th and 15th centuries. The two deeply splayed windows in the chancel and one in the nave are early Norman and other windows, much restored in the 19th century, were inserted in the 14th. and 15th. centuries. A bequest in 1513 for the building of a tower was never so used. The royal coat-of-arms of George III were placed over the chancel arch in 1815. to celebrate victory over Napoleon. The bell-cot, on which is set a small cross in a Stone circle 700 years old holds a single bell date from 1685 and inscribed, “Richard’ Sanders made me, 1722” The Registers date from 1685 and are complete. LEMINGTON is a parish, 2 miles from Moreton station on the West Midland Railway, 5 from Shipston-on-Stour, 30 from Gloucester, and 82 north-west from London, in the eastern division of the county, upper division of the hundred of Tewekesbury, Shipston-on-Stour union and county court district, rural deanery of Campden, archdeaconry of Gloucester, and diocese of Gloucester and Bristol. 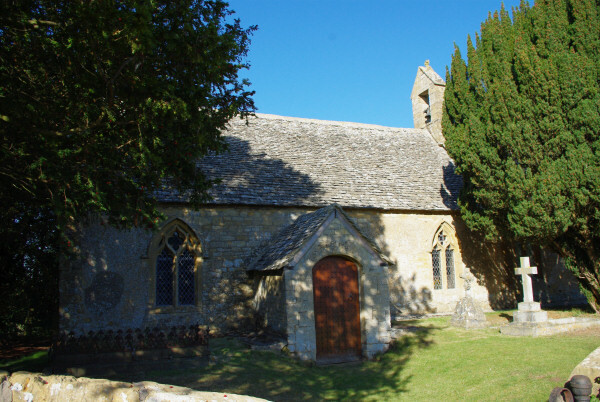 The church (name unknown) is a small and ancient stone building, consisting of nave, chancel, porch, and belfry with 1 bell. The living is a vicarage, yearly value £80, in the gift of Lord Redesdale, and held by the Rev. James W. Clarke, of St. Catharine’s College, Cambridge, who resides at Moreton. There is a charity derived from land bequeathed by Lady Fane, which yields annually about £16, of which an accumulated fund has been formed for the relief of the poor as occasion requires, and there is one of £4 annually, derived from £100 bequeathed by Archbishop Juxon. Lord Redesdale is lord of the manor and sole landowner. The soil is a mixture, chiefly of clay and gravel; subsoil, clay and oolite. The area is 811 acres; the population in 1861 was 57; gross estimated rental, £1,189; rateable value, £1,060. Letters received through Moreton-in-Marsh, which is also the nearest money order office. Here are some interesting historical images. Scroll down to the bottom of the page to see the viewer controls.